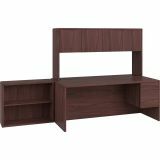 HON 10700 Series Wood Bookcase, Two Shelf, 36w x 13 1/8d x 29 5/8h, Mahogany - 10700 Series laminate desks from HON makes a subtle statement for high achievers. With its gentle waterfall-shaped edges and real wood accents, 10700 Series offers mixed-material elegance, suitable for upper management, medical professionals, accountants, small business owners and college administrators. 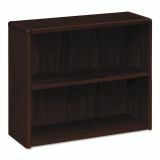 HON's most timeless design, 10700 Series is dignified, elegant and understated. 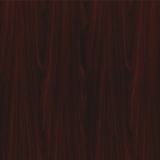 The high-pressure laminate offers superior resistance to stand up to late nights and long hours. 10700 Series builds on the best-in-class platform and features seven woodgrains with solid, inner-frame construction and precise, metal-to-metal joinery. The broad selection equips distinctive leadership spaces or interconnected operational teams. 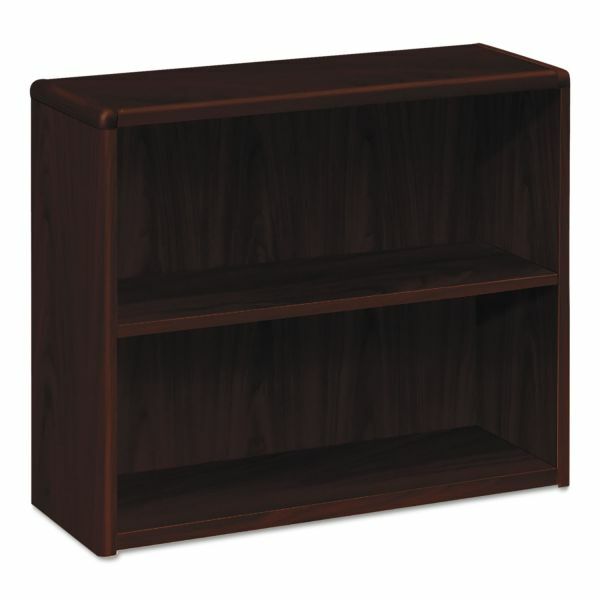 3/4 and full pedestals and modular components link with bookcases, stack-ons and a host of storage products. Most models ship fully assembled. Value-added features include wire management grommets, ball bearing drawers and removable lock cores. When good enough just won't do, upgrade to the 10700 Series.